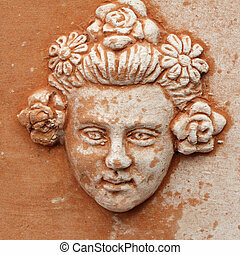 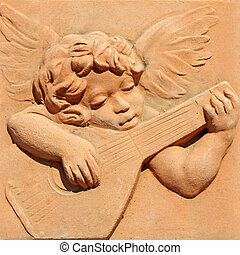 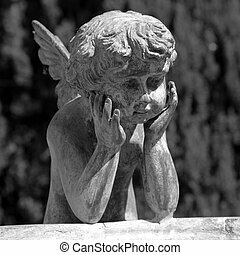 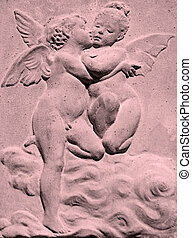 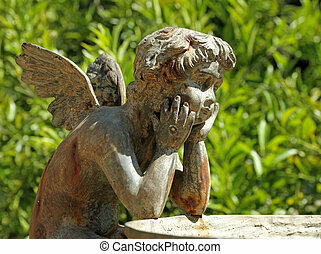 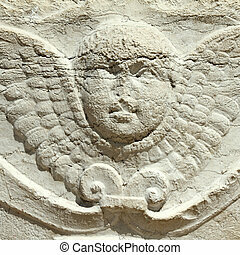 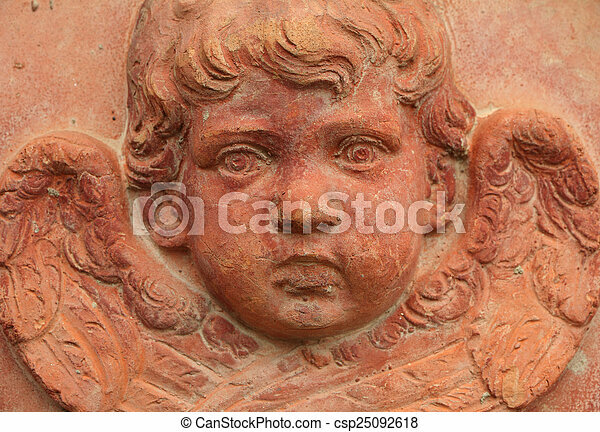 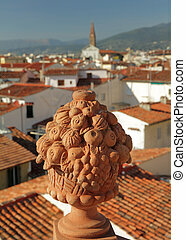 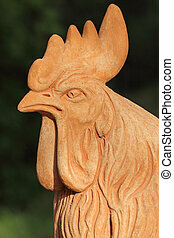 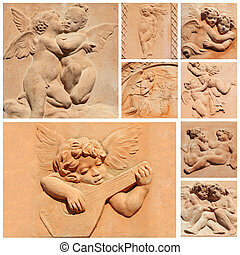 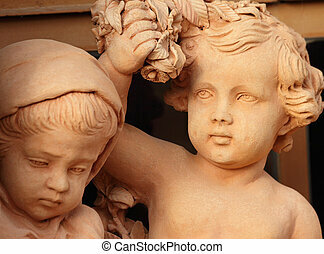 Decorative relief of angel in terracotta, italy. 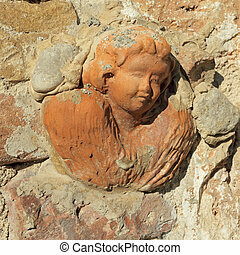 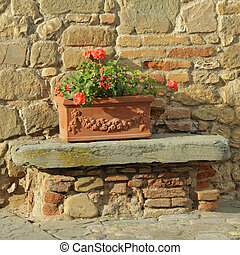 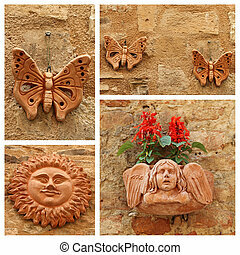 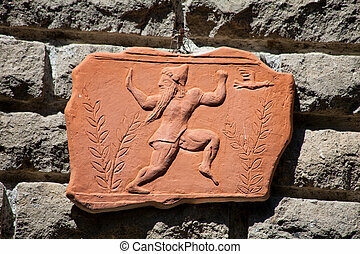 Piece of ancient relief in terracotta exposed on a tuff wall - Lazio, Italy. 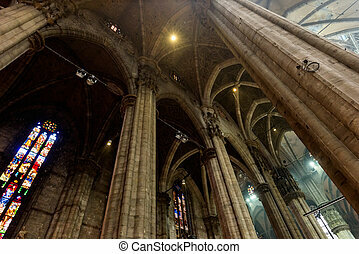 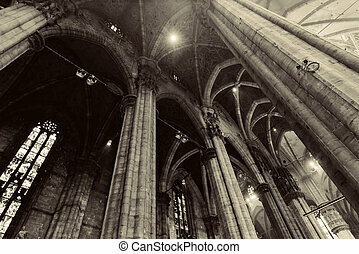 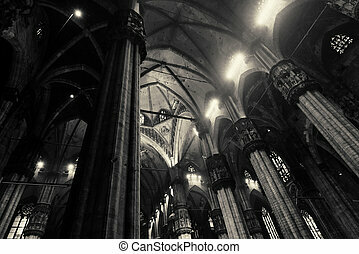 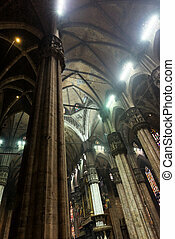 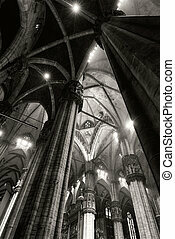 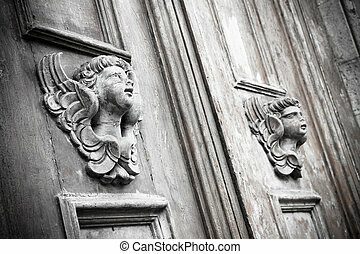 Doors of the Duomo cathedral in Milan, Italy. 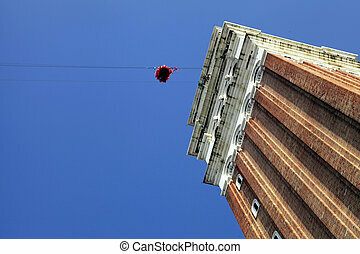 VENICE, ITALY - FEBRUARY 8, 2015: "Flight of the angel", a traditional annual event marking the famous Venetian carnival at St Mark's Square in Venice, Italy. 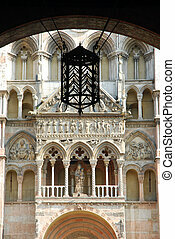 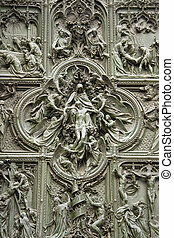 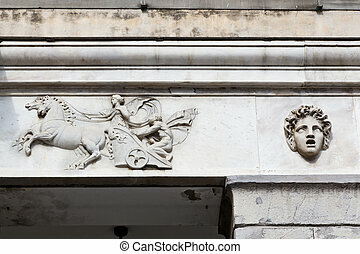 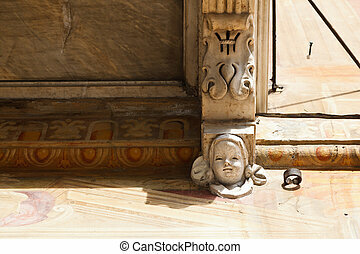 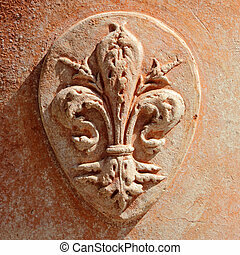 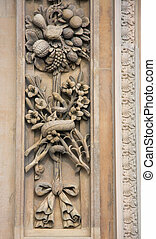 Decorative motif on the facade of Duomo, cathedral in Milan, Italy.